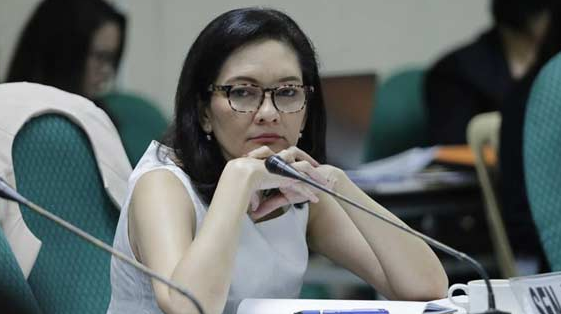 Senator Risa Hontiveros said the witnesses for the slay of 17-year-old Kian Loyd Delos Santos are already under her custody and protection. According to Justice Secretary Vitaliano Aguirre, the Three witnesses might no longer be credible after the lady senator took custody of them. "Of course it will affect the credibility of these witnesses considering the bias of their handler," Aguirre said. Kian died after he was shot during an Oplan Galugad operation in Barangay 160 on Wednesday night. Police claimed they recovered a cal-.45 hand gun and two sachets of suspected shabu from the victim. Policemen involved in the operation claimed the teenager resisted arrest and shot them with a pistol as he was escaping. The teenager's father, Zaldy claimed his son was blindfolded by the police and was being forced to identify drug pushers in their area. Vice President Leni Robredo on Sunday visited the wake of delos Santos to offer sympathies and condolences to Kian's family, a radio dzBB report by Divine Reyes said.